The Advanced Degree Educational Grant is presented annually by the National Nurse Practitioner Symposium to a graduate level student. The National Nurse Practitioner Symposium is committed to diversity and equality of race, religion and gender. 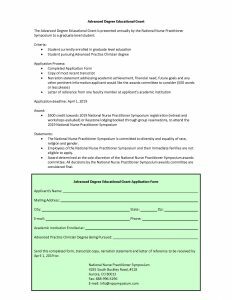 Employees of the National Nurse Practitioner Symposium and their immediate families are not eligible to apply. Award determined at the sole discretion of the National Nurse Practitioner Symposium awards committee. All decisions by the National Nurse Practitioner Symposium awards committee are considered final.